1.) Company Index: Like a hub page for a company’s content on the site. This area will mostly be ignored because it’s not sprites. 2.) Sprite Edits: Hey, sprites! Mario and Sonic done from scratch just to mess with the heads of those that think I don’t like the characters. Dammit, the internet is full of GOOD Mario and Sonic sites! 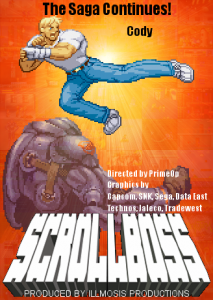 That’s why I also made sprite edits of characters like Damnd from Final Fight, Rick Norton and Kazan from Brawl Brothers and Thomas from Kung-Fu Master. They don’t get enough fan love so I try to be there when I can. Also: sprite edits of Haggar, Solid Snake and multiple Batmans. 3.) Vs. Maker: Look, it’s more sprites! Still no update to the engine but a lot of characters got added. Batman is finally in there and is the only DC character to have a portrait so far. See? That makes him more special so that should make you happy. I still can’t get over how Kiwi make the graphics from scratch. You can see the whole pic and more by checking out his deviantART page. 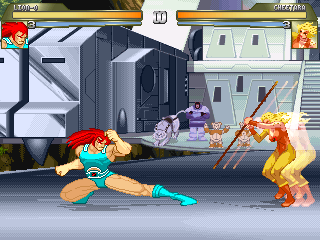 If you have the MUGEN fighting game, you can download the real stage here. I should have linked to the 7th and 8th Anniversary posts. Consider it done.